My name is Kristtorn, Norwegian for Holly. 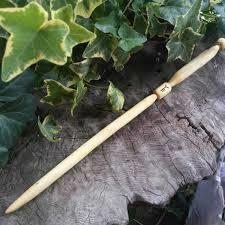 I am a follower of Asatru and wand maker. Wanding has been in my family for many moons now and is a personal hobby of mine. Freya is my personal Goddess, a powerful yet loving deity that has guided me over the last few years. She has helped me a great deal both spirituality and in my life as a whole. Freya, Goddess of gold, inspire me today. Teach me to walk through my day with pride in my own being, with confidence, with power. Goddess of fiery passion, bless me with the insight to the marrow of my bones that I am a person of worth in the eyes of the Gods the eyes of the ancestors and of myself. May I radiate this and transforms all I meet. That is my prayer for this day, oh great and powerful Goddess, that I may mirror Your presence throughout my day. In return, I shall praise You always, and lay amber before Your image, consigning it to the sacred fires that burn when the day is at its longest. Hail Freya, shining Goddess of gold. I praise You. I am an avid lover of nature, cats and fantasy novels. I therefore highly recommend therefore the following books. Have a question about wands? Send me a message! I do not cast spells for others, accept mails of a flirtatious nature or abuse. Please show politeness when sending me or anyone else on the site a message, for good courteousy breeds good companionship!